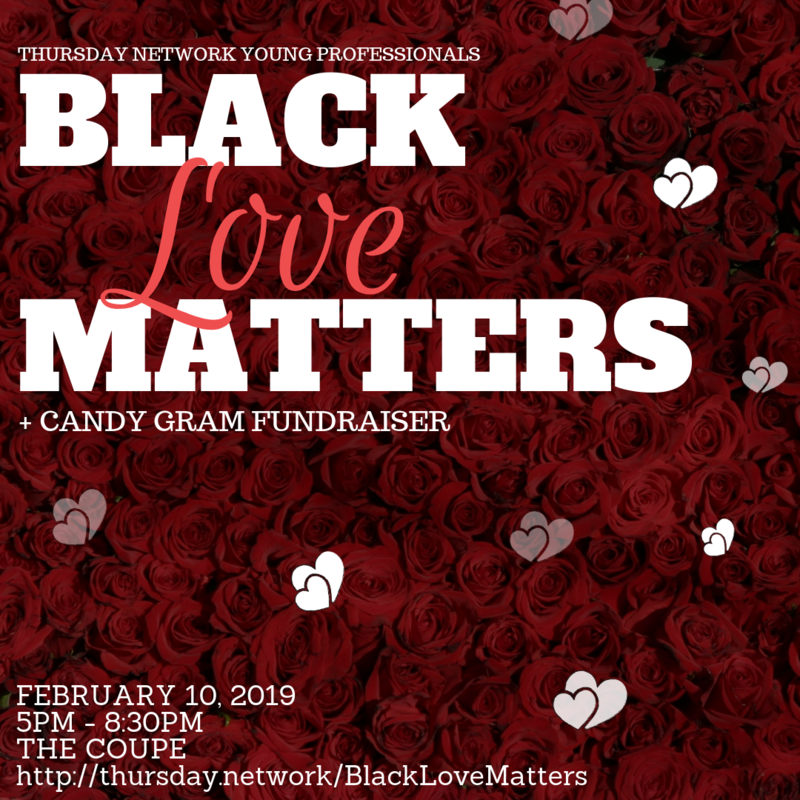 Meet us at The Coupe to celebrate that #BlackLoveMatters! Enjoy an evening of games, giveaways, candygrams and friends from 5-8:30 pm. And 10% of the proceeds go back to Thursday Network. Invite your friends (non-members are only $5) and spread a little love this Black History Month! You can also show a little appreciation for your favorite TN members by sharing a candygram for only $7! Candygrams will be on sale from Join Week through the event on February 10.